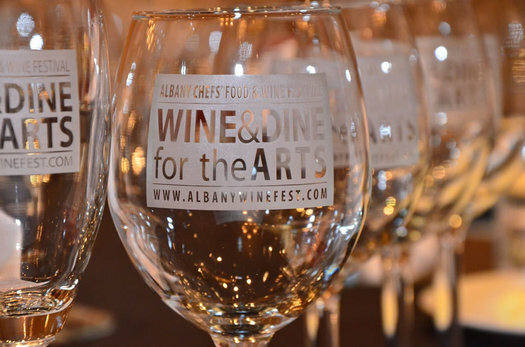 The Albany Roundtable has selected the Albany Chefs’ Food & Wine Festival: Wine & Dine for the Arts, its founder Yono Purnomo and its organizers to receive its prestigious New Patroon Award for providing sustainable funding to the not-for-profit arts community in Albany. The award will be presented at the Albany Roundtable luncheon on Wednesday, October 14. Since their inaugural event in 2010, the Albany Chefs have presented a 3-day food and wine-themed festival that promotes local restaurants, chefs, and their innovative cuisine; educates consumers on healthy, sustainable agriculture; and donates all net income directly to deserving non-profit arts organizations. In 2015, the group made a record-breaking donation of $127,927 and boosted their six-year total contributions to $534,656. The Albany Roundtable established its Good Patroon Award 1988 to celebrate outstanding contributions to the community by institutions and individuals. While the Good Patroon Award has traditionally honored organizations and individuals with a long record of service to the community, the Roundtable launched its New Patroon Award in 2011 to highlight and encourage the work of newer organizations. The most recent Good Patroon Award winners include Historic Albany Foundation; Hon. John J. McEneny for his career in public service; Ruth Pelham and the Music Mobile; Amy Klein and Capital District Community Gardens; Maude Baum, Artistic Director of eba Dance Theatre; housing and social justice advocates Roger and Maria Markovics; and Christine M. Miles, Director of the Albany Institute of History and Art. Catherine Hedgeman and The Stakeholders, Inc. received the first New Patroon Award in 2011, followed by Jeff Mirel and The Albany Barn in 2012; and Edwards Grimes-Carrión and Grand Street Community Arts in 2013, and All Over Albany in 2014. The October 14 Roundtable Luncheon begins at 12:00 noon and will be held at the National Register-listed University Club of Albany at 141 Washington Avenue. The luncheon is open to the public and the cost is $20, which may be paid at the door. The Roundtable also offers the option of paying in advance with a credit card at www.albanyroundtable.blogspot.com. The University Club will serve lunch from 12:00 noon to 1:00 p.m., with the program commencing at 12:30. Reservations are required by Tuesday, October 13 and may be made by prepaying online, by calling 518-431-1400 (the Albany Colonie Regional Chamber of Commerce) or by sending an e-mail to albanyroundtable@yahoo.com.